Pelenna Patchworks: Lewis & Irene Bee Kind now in stock! 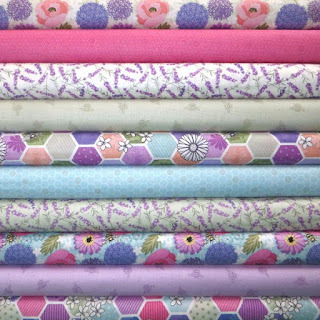 New from Lewis & Irene, the Bee Kind patchwork fabric range is a pretty collection in fresh colours, inspired by a local lavender farm and featuring our friends the bees, buzzing busily amongst the flowers. With designs including honeycombs, lavender, poppies and bees, this is the perfect collection to brighten up your house in preparation for spring! We have ten prints from the range available as a fat quarter pack or stash pack - head on over to our Facebook page to be in with a chance of winning one of the fat quarter packs, worth £27!